The most controversial thing is not the threshold of the amount of loss, but the determination of the trade secret, which must be verified by independent agencies with appraisal qualifications. In order to protect their trade secrets, Yulong has divided its information into different categories and carries out different management for each of them. To tackle the judicial awkwardness in dealing with trade secret issues, the industry is making stronger and stronger calls for legislative improvement. The UK-China bilateral strategy is very much a two-way process, with formal and ad hoc exchanges. An Act entitled, Sale of Products — Stolen or Misappropriated Information Technology, was enacted by the State of Washington (Washington) this year. It is known that, compared with the current Trademark Law, the Amendments Exposure Draft issued on September 2nd, 2011 has added “sound” to the category of trademark registration. Founded in 1958 and based in Australia, Decor has won numerous awards and accolades for its unique and innovative designs. In China, it has always been a major problem to work and commercialize the patent technologies, and particularly so for universities and research institutions. 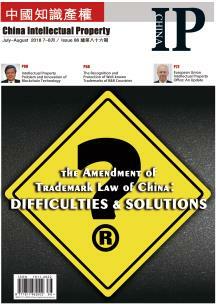 This article takes the Nikon case as an example and shows the readers how the Chinese courts determine whether a trademark is well-known. Will the America Invents Act Strengthen the U.S. Patent System? The America Invents Act (“Act”) is the most sweeping revision of U.S. patent law in 60 years and changes the patent system in several important ways. In order to better understand Hong Kong’s IP legislation system and the effort it has made in the WTO, China IP went to Hong Kong and interviewed Peter Cheung (Cheung), the Director of Hong Kong IPD. This interview took place right after Judge Jiang joined King & Wood, and his new office is still full of books and awards waiting to be sorted out. The past ten years is not only a decade of China’s integration into globalization, but also a decade of transformation of China’s IP rules by the international ones. From December 13th to 18th, 2011, the “IP Forum on Chinese Painting and Calligraphy” was held at the World Art Museum of China Millennium Monument.